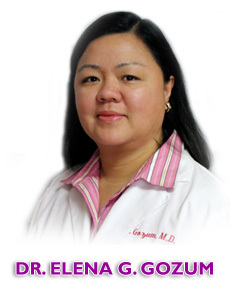 Dr. Gozum received her medical degree from the University of Santo Tomas, Manila, Philippines in 1987. She has been practicing medicine since 1989. She completed her Pediatric Residency at the University of Florida- Sacred Heart Hospital, Pensacola, Florida in 1998 and her Fellowship in Allergy, Asthma and Immunology at Baylor College of Medicine, Houston, Texas in 2000. She is Board Certified by the American Board of Allergy and Immunology. As a specialist, Dr. Gozum has experience and background in evaluating and caring patients of all ages- seeing children and adults with allergic disorders and asthmatic problems. Dr Gozum has staff privileges at Valley West Community Hospital, Edward Hospital, Central DuPage Hospital, Hinsdale Hospital and Rush Copley Medical Center. She is at present a member of the American Academy of Allergy, Asthma and Immunology; American College of Allergy, Asthma and Immunology and Illinois Society of Allergy, Asthma and Immunology.